The Worcestershire Biological Records Centre (WBRC) has been awarded a two-year grant from the Heritage Lottery Fund (HLF) to promote and increase recording within traditional orchards. 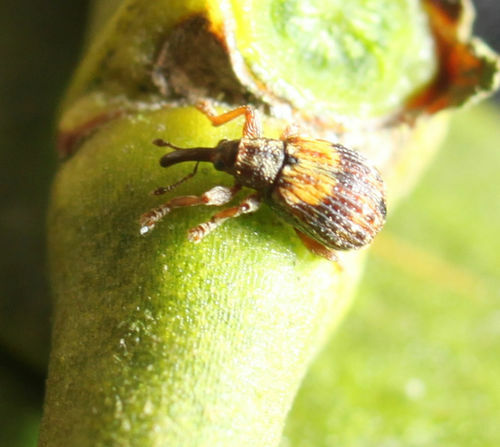 The project aims to increase our knowledge of the distribution of key species associated with orchards – such as Noble Chafer Gnorimus nobilis, Mistletoe Marble Moth Celypha woodiana and Mistletoe Weevil Ixapion variegatum – by encouraging existing recorders to focus effort on old orchards and to recruit and train new volunteers. You may be aware of a new National Inventory for Traditional Orchards published in 2012, which was compiled using predominantly aerial photograph interpretation. The validity of the inventory and the condition and current management of many of the orchards on it still requires ground ‘truthing’ and we would like volunteer support to assist with this. The HLF grant is funding a part-time project officer position – filled by Becky Lashley, who many of you will already know – to co-ordinate and support recording effort. A considerable number of orchard owner contacts are now being followed up to secure access permissions for survey work. 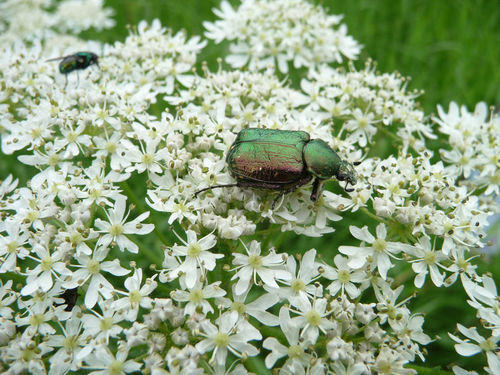 Since the project began in June 2013 it has recorded three new county sites for Noble Chafer and one for Mistletoe Weevil. There are a number of ways in which we would like support from recorders in Worcestershire. The ‘ground truthing’ of the National Inventory has already been mentioned. In addition to this, if you can help to locate owners and arrange survey permissions for old orchard sites in your local area, please flag these up to WBRC so that we can visit them. If you would like to actively assist us with surveys then do contact Becky on becky@wbrc.org.uk or 01905 759759 who will keep you informed of visits that are organised. There is also a project newsletter that you can subscribe to. As well as Noble Chafer and Mistletoe insects we are interested in records of mosses and lichens on the trunks of fruit trees and would like to link recording with the OPAL air pollution survey www.opalexplorenature.org/airsurvey. The Field Studies Council has recently published identification guides to the mosses and lichens commonly found in orchards and WBRC has a stock of these and other guides available to recorders willing to use them and return the data. Finally, we would be very interested to hear from recorders willing to participate in a monthly bird survey – this could be within an orchard already known to you or we can match you up with an orchard on our database in your area. We would like the traditional orchard bird survey to run throughout 2014, providing us with data on species using the habitat at different times of year. For those familiar with the BTO’s online recording systems, the survey data can be submitted via BirdTrack and provided to WBRC as an excel file. If any part of the traditional orchard recording project is of interest to you please don’t hesitate to get in touch with Becky on becky@wbrc.org.uk or 01905 759759.